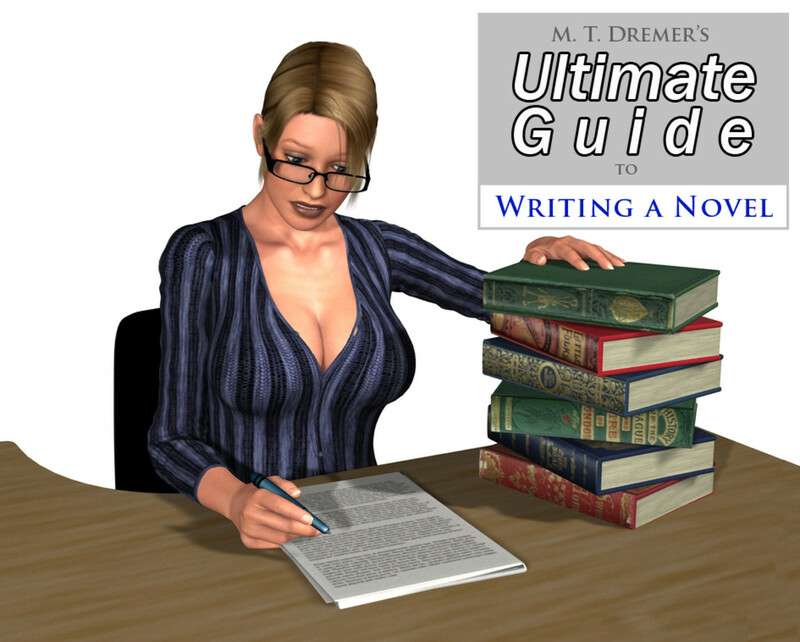 Writing a non-fiction book or a novel can seem like a daunting task for any new writer. 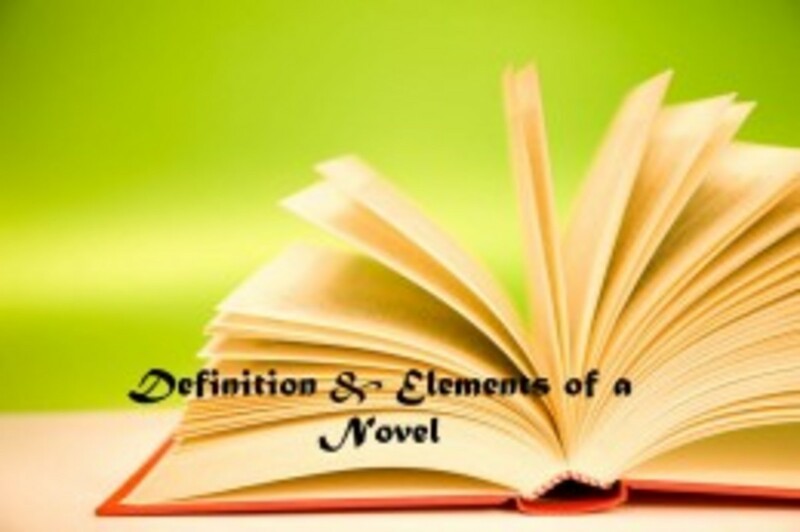 In fact, when starting out, it can seem like the journey to begin and to complete a fiction or non-fiction book will be a long, arduous, stressful, and a sometimes overwhelmingly tedious path—from conception to completion. And the truth is, it seems that way because it is. Still, the one thing I find most fascinating about beginning the process of writing a book is that the more you work on your project the easier the writing becomes, and that the easier the writing becomes, the more you begin to enjoy it. Because this is true, in this Hub I’m going to examine some of the considerations I've found to be helpful to think about—when you are thinking about writing your first book or novel. In this article, I will share with you some of what has helped me in my journey as a self-published writer and author. I will take a close-up look at how helpful it can be (to the writing process) for beginning and experienced writers to consider and to explore topics they are naturally interested in, and to find ideas and inspiration in what gets your blood boiling. You know. Some of the stuff that is simply part and parcel of that thing we call "life." 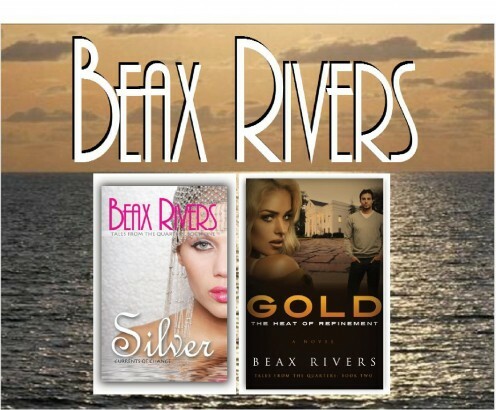 My first two novels, Silver and Gold. I hesitated to place them here because I'm releasing them both again (I hope in 2018) with new covers. Explore Topics that Excite Your Passions! One of the thousands of topics I feel strongly about has to do with family generational curses. I've seen the devastation such curses (as defined in the holy Bible) can have on a family, and that is why I have allowed my interest in the topic to fuel my fiction-writing imagination. Therefore, in my second self-published novel (in my Tales from the Quarters collection of color-coded novels), the character called Josie was faced with the question of whether or not to write and publish a book chronicling part of her family’s history that she believes is horrible because it is related to what she sees as a generational curse. In Gold, The Heat of Refinement, Book Two of my collection (a book that is mostly an exploration of racism, past and present), this character is part of a sub-theme that examines how racism can be turned inward, and how it can become a generational curse. The character ultimately decides to go ahead with writing and publishing her book as her attempt to try to end what she sees as something that keeps manifesting itself in her family, in different ways, causing devastating effects. She presents what she sees as one of her families generational curses, but she also identifies racism as such a curse. She writes about how racism, along with the main generational curse she identified, has also left stains not just on her family's history, generation after generation, but on the lives of millions of other families too. She believes the generational curse called "racism" can only be erased from existence through acknowledgement, confrontation, examination, understanding, and forgiveness. The main general curse Josie is concerned with has to do with sexual immorality, and it is something that started during, and continued after, slavery. She sees this curse as being still prevalent in her family's history because it had never been acknowledged and confronted, and feels the only way to put an end to it is to put pen to paper. Not acknowledging and talking about the curse, she feels, is what has allowed it to continue being manifested in the lives of family members to detrimental effects. It is her goal to destroy the curse’s awful hold by publishing "the dark side" of her family’s history, examining it and holding it up to what the Bible says about generational curses and how to end them. Finally, she develops a path she and her siblings can take as they all become spouses and parents, to help them guard against the curse, to keep any manifestation of its ugliness from ever rearing up again in their family. From concept to completion. I envisioned the end result before writing one word of this story (my third "Tales from the Quaters" novel) about a paralyzed young woman and the struggles she endured in her quest for love, and in her fight to walk again. As a woman who has had to fight, endure, and overcome many of life's battles and obstacles, most of my novels are written primarily from the perspective of women, young and old, who either are or who must become "warriors" in their quests for a better life. In one of my very first Hubs (which I've taken down), titled “Josie’s Story,” I first wrote about a young woman who was troubled by some awful facts about her family. She was ashamed of what she'd discovered, and didn't want other people to know that something so awful could be part of her family history. I posted the story to be accessed and read by folk who might have family secrets they think might make a great topic for a book (fiction or non-fiction). 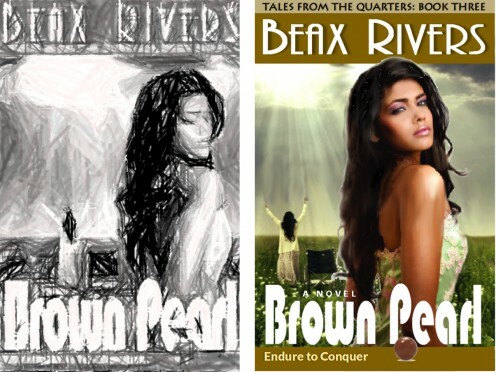 Writing using my pen name, Beax Rivers, I have self-published the first and second books in the "Tales" collection. Josie is the main character in only one of ten novels, although she is a central character in several of the "Tales" novels. For example, she plays strong roles in Silver: Currents of Change (self-published in December, 2011), in Gold: The Heat of Refinement (self-published in December 2015), and in the third book in the collection, Brown Pearl: Endure to Conquer (which I recently completed and intend to self-publish it this year, 2018. Something you feel strongly about usually makes an interesting topic for either a fiction or non-fiction book. Even if you’re not planning on making a living from publishing your book, you may know there is something in your life, or in the lives of family members, that needs to be researched, talked about, and written about. You know that you want to write your book as a way to help someone else change their life for the better, or to provide them with the information they need to do all they can to avoid a tragedy. It’s easy for those of us who have been writing all our lives to lose touch with how it feels to be approaching the writing of something like a book, for the first time. In this Hub, my goal is to convince you that you can write the book you’ve always wanted to write. No matter how daunting a task it seems, you can do it. Even if you feel you don’t know where to begin, you can learn how to write your book, page-by-page and step-by-step, and you can become a successful writer, at home, and at your own pace. In an effort to help you make up your mind for good and get started on the book you know you want to write, here are three of my most prized tips for beginning writers. 1. Get Past Your Doubt. Getting beyond doubts about whether or not you can or should write your book is the first obstacle you must overcome. Once you give yourself permission to begin writing down the first few words of your book, you will be on your way to becoming an author. 2. Forget About Writing Well—For Now. 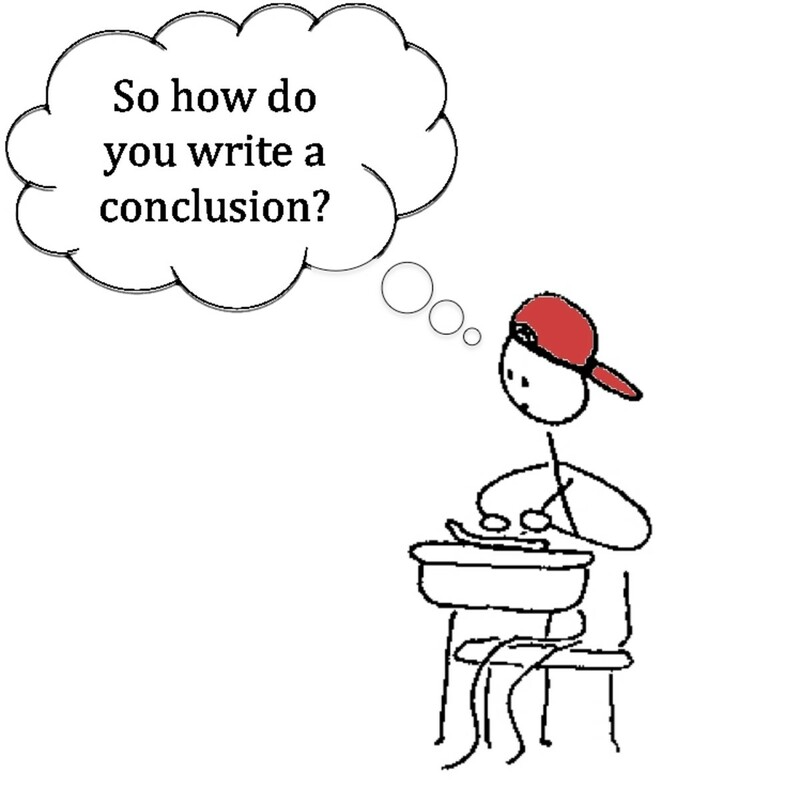 You’re not in English class, and there will be plenty of time for proofing, editing, and revising what you’ve written after you get your thoughts down on paper. Something that stops many would-be writers from ever forming their first sentence is the fear of making mistakes. Well, get over it. Everyone makes mistakes, and all mistakes can be corrected, later. However, if you don’t put the words down in the first place, you won’t have anything to correct. 3. Write What You Are Most Excited About. What is it that made you know you wanted to write a book? Was it something that happened to you or to a member of your family? Was it something that happened in your past, or, like Josie, something you found out about that is part of your family’s history that you feel you need to write about? I believe it is important to begin the process of writing your book with what you’re most passionate about. Something convinced you that you needed to write a book. What was it? Now that you’ve given the idea or topic some thought, write it down so that you can devote time to exploring it further. Traveling back in time through your childhood years can unearth some interesting ideas and topics that are still relevant today since times change, but, in general, people do not. For example, each of us will always have inside of us the same desires--to belong, to be loved, to be and to feel safe and protected, and to learn, to grow, and to develop as human beings, as we navigate the treacherous waters of our lives. I often travel back in time to unearth experiences and feelings that I allow to fuel my imagination. 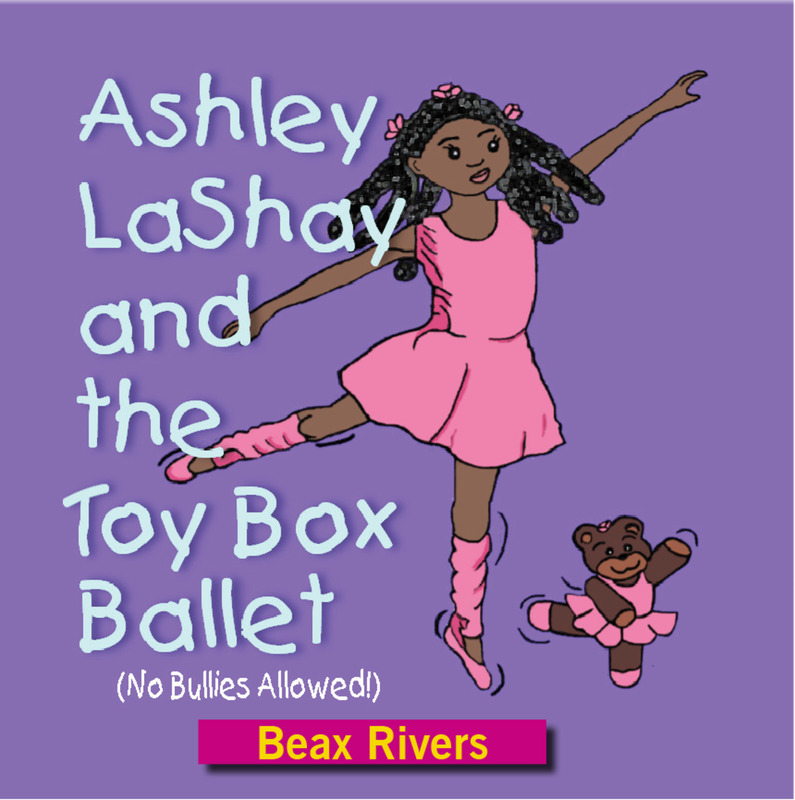 My walks through the times of my life have provided fueled inspiration for three children's books I've self-published (available on Amazon.com), including Ashley LaShay and the Toy Box Ballet (No Bullies Allowed! 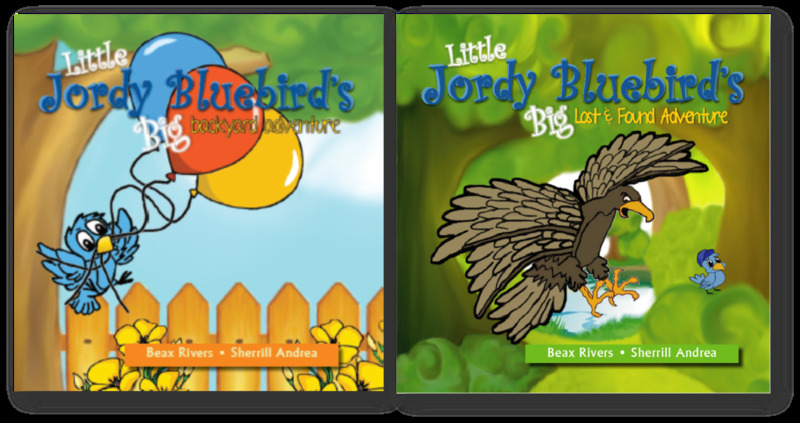 ), Little Jordy Bluebird's Big Backyard Adventure, and Little Jordy Bluebird's Big Lost and Found Adventure. This is a children's book I published that takes a whimsical look at bullying (my pen name is Beax Rivers). It is available for purchase on Amazon.com (published using Amazon's CreateSpace self-publishing platform). For most of us, childhood is filled with interesting and challenging topics of exploration. For example, we've all experienced bullies (and felt helpless about how to handle them). In one of my self-published children's books (Ashley LaShay and the Toy Box Ballet), I explored, whimsically, the idea of bullies, some of the things that might make them tick, and at least one way to handle them. Taking a walk down memory lane can be an inspirational adventure that can yield countless ideas and topics that could be just what you need to get started on your journey toward your first fiction or non-fiction book or novel. Writing books for children, for me, is simply another way that I share, through self-publishing, my love for the power of the written word. I am always looking for ways to combine my love of walking back through time, remembering my own childhood encounters (or those of people I know), to examine issues and to pinpoint topics, and to create interesting stories and quality content. It is always my end goal to create content that might actually help someone else who might be going through or fighting battles involving some of life's toughest challenges. Writers have a lot to say! Here are the covers of two more children's books I've self-published. This one is about the courageous adventures of a little bird who uses his social skills and his creativity to overcome some very big obstacles. Writing can be a lot of fun, but it is mostly hard, time-consuming work, and quality written content does not happen by accident. If you've started on your journey toward writing a book that you intend to publish, you probably already know it is one thing to want to write a book, and something else entirely to actually do the work that is needed to write it. For most of us (meaning those who are not currently rich/wealthy), there are no short cuts. 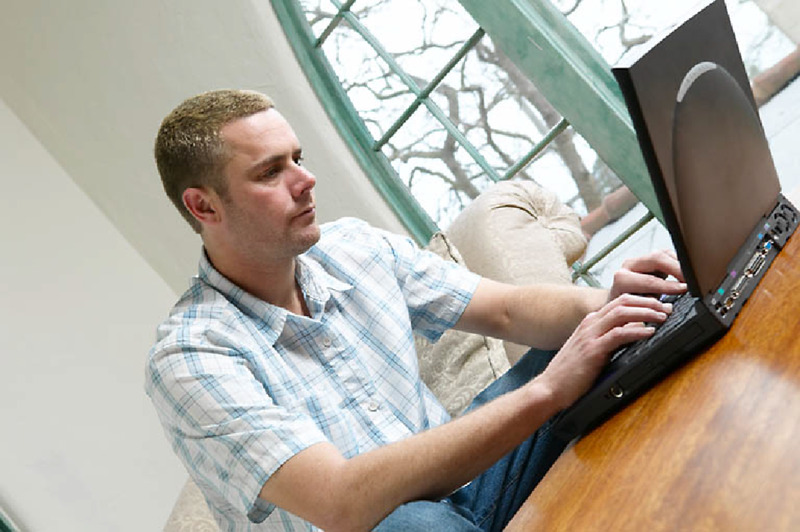 We cannot afford to pay the double-digit thousands of dollars others might be able to spend to hire ghost writers to do the writing. We have to do all the work—including all the thinking, all the planning, all the research, all the conceptualization, all the writing, all of the initial editing (even though it is recommended to hire an outside editor prior to publishing), all the proofreading, and all the "everything else" it takes to write and publish a book. As a self-published author, I have written several Hubs on the topic of self-publishing—something else I feel very strongly about, that I hope will help new writers and authors. In fact, I feel so strongly about self-publishing that I recently started a blog to help other writers and authors who are committed to producing quality self-published content, online and in print (www.qualityself-publishing.com). Finally, as someone who truly believes writing is the hardest work you'll ever love, I am devoted to continuing to write and publish articles on a variety of topics that I feel strongly about while also continuing to offer suggestions and advice to help new and experienced writers and authors. As I do this, I am always working on my next novel, so I don't have much of what a lot of people think of as "spare" time. Through my Hubs and my self-publishing blog, my goal is to provide suggestions, tips, and advice designed to improve the quality of self-published content. While I am still learning and growing too, as a self-published author, I have a commitment to quality content. For this reason, I do my best to always "reach for the stars," constantly holding my own work up to quality standards as I write and publish content to help other writers. It is always my goal to provide help, hope, and virtual "hand-holding," to offer something that could be just the thing a new writer or author needs as he or she commits to doing all it takes to create quality written material. Thank you mdscoggins, for the visit and for the comments. Wishing you the best as you research ideas for your book. I know you'll find it among those things that interest you most--because that's what it will take to keep your journey fresh as you work toward completing your book. Thank you for the tips, your suggestions are helpful. I have gotten over the doubt for the most part, I am more in the area of finding what I specifically want to write. I know writing a book is in my future and your ideas have helped me get a little closer. You're on your way, Mark. Keep on with the fitness Hubs, establishing yourself as the expert you are. You'll make it! I look forward to reading it, I am actually looking for some outline software, since I am a computer friendly person, to make the outline. I have a rather unique book idea, and I think that it may do rather well in the fitness community. Yes, FitnessMarkLorie, this process works for eBooks as well. In fact, I'll make it clear in my next Hub that what I'm talking about works for print and electronic publishing. The writing process has to begin somewhere, and it doesn't matter if you're writing is for the purpose of producing a printed book, or an eBook. You still have to start somewhere. In my next Hub, I'll be talking about preparing an outline of your book. I hope you'll read it and that it will offer tips that you can use! Congratulations on your decision to write your book, and I wish you the best of luck! Would you propose a similar process for eBook publishing? I am considering writing an eBook, well I've started actually, but I hope for some success!